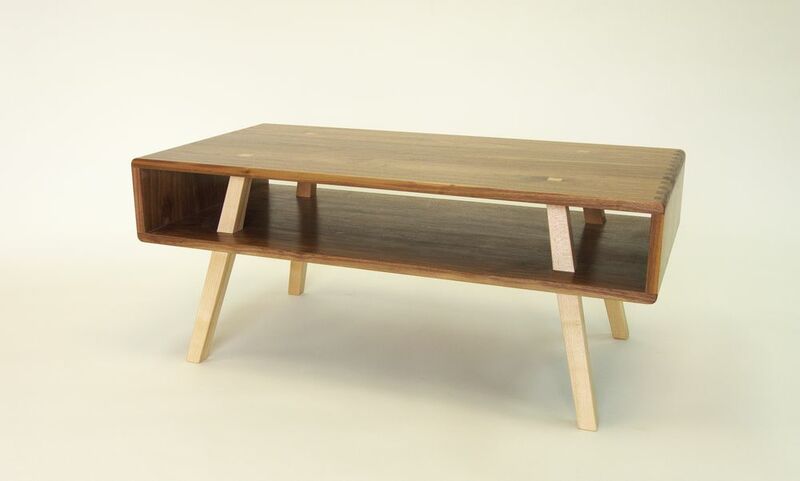 Coffee table in American Black Walnut with English Sycamore legs. This table features handcut dovetail joints and legs that pass through the bottom shelf and tenon through the table top. Available to order in a range of contrasting timbers. Length 100cm x width 60cm.